Hooray! 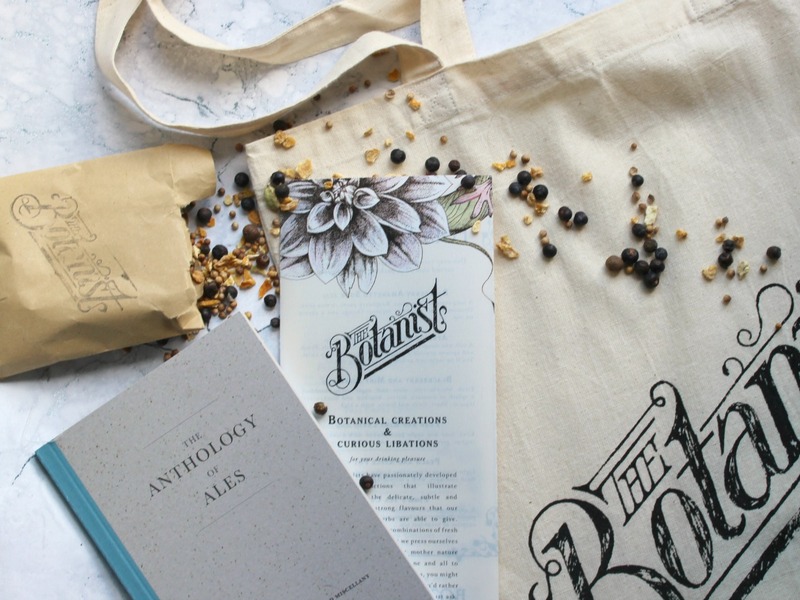 The Botanist has arrived in Reading! The much-coveted bar and restaurant chain opened its thirteenth location on King’s Street. It brings with it a playful menu, full of pub classics often with a modern and fresh twist. The whimsical botanical inspired cocktails are what excites me most. Who wouldn’t enjoy a sharing cocktail served in a watering can? I was invited to test out both the food and drinks menus with my boyfriend. Spoiler - we enjoyed it, a lot! 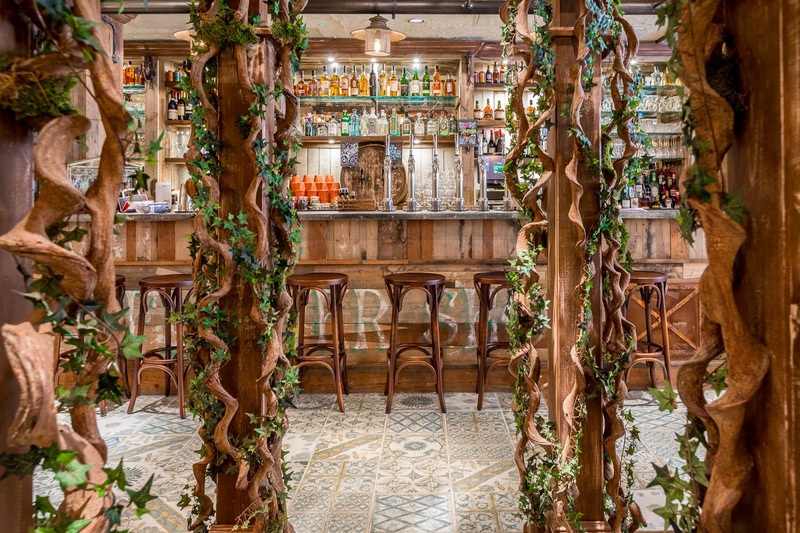 Upon arriving at The Botanist, we were welcomed by smiley, friendly staff and shown to our table. I couldn’t help but marvel at the décor. The listed building, which had been a bank since 1814, has received an extensive makeover. Everything is botanically themed; vintage gardening ephemera mixes with a light and earthy colour palette. It’s quaint and quirky in the cutest possible way. Our server presented us with both food and drink menus. She was so enthusiastic about the available choices and was only too happy to answer any questions and recommend a few of her favourite cocktails. I settled for the Peach and Lavender Cosmo to begin with. It was shortly followed by All the Greens and finally a Rhubarb and Gin Old Fashioned. It’s only fair when testing a new menu to go all out with starters, mains and puddings! 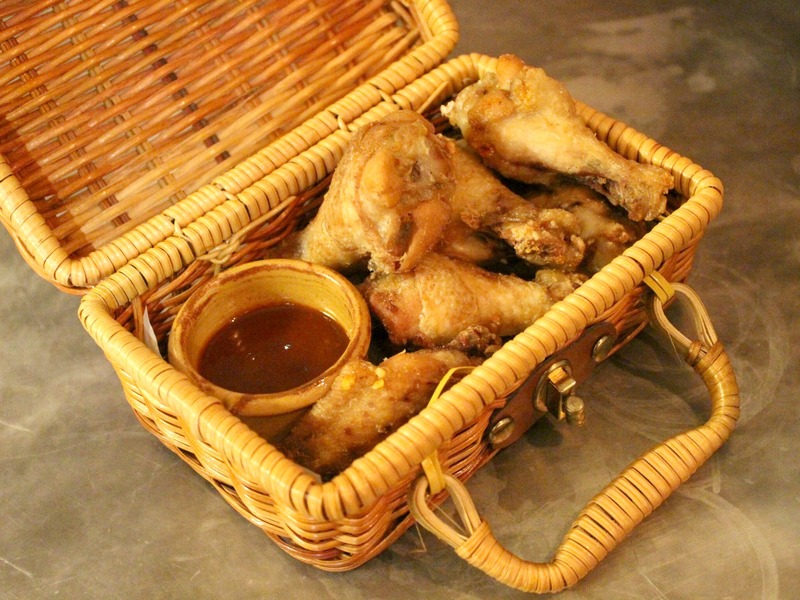 Our meal began with Chicken in a Basket with BBQ sauce and Creamy Truffle Mushrooms. When this course arrived, I was quite disappointed that my food hadn’t also arrived in an adorable mini wicker picnic basket! However, my mushrooms were delicious and I’d definitely have them again! For mains, we chose the BBQ Pulled Pork Burger and the Jerk Salmon hanging kebab. I’ve been assured that the pulled pork was top notch. My salmon kebab was teamed with pineapple, carrot and a ginger and sweet chili glaze. Oh my! The most succulent salmon I’ve ever eaten! The Mr was apparently too full for desert. So, I had to go it alone with a Caramelised Banana Split. Toasted marshmallows sit alongside brownie pieces, peanuts and biscuit cream. All accompanied with the traditional banana, ice cream and chocolate sauce. Sounds nuts - tastes like heaven. We left feeling full, contented… and slightly tipsy! 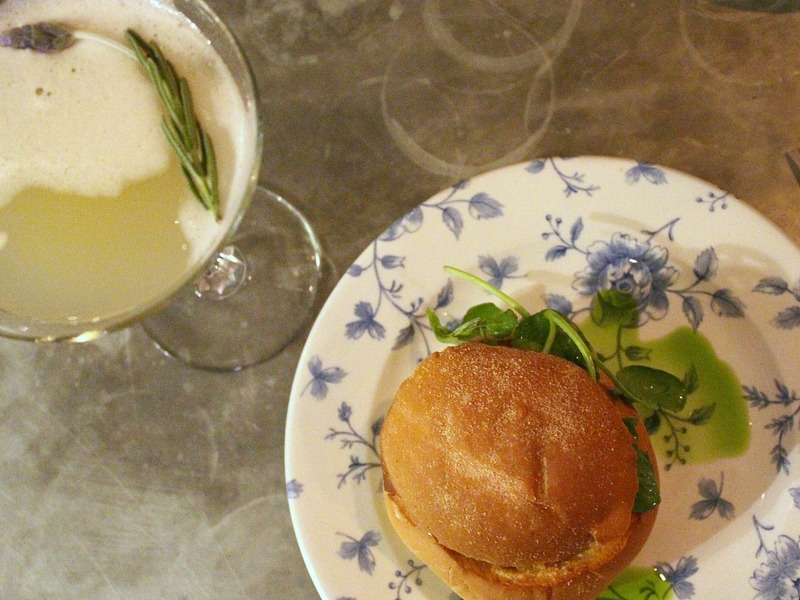 I can see The Botanist becoming a regular date night destination for us. The relaxed atmosphere is totally our thing. I love that there’s live music each night too. 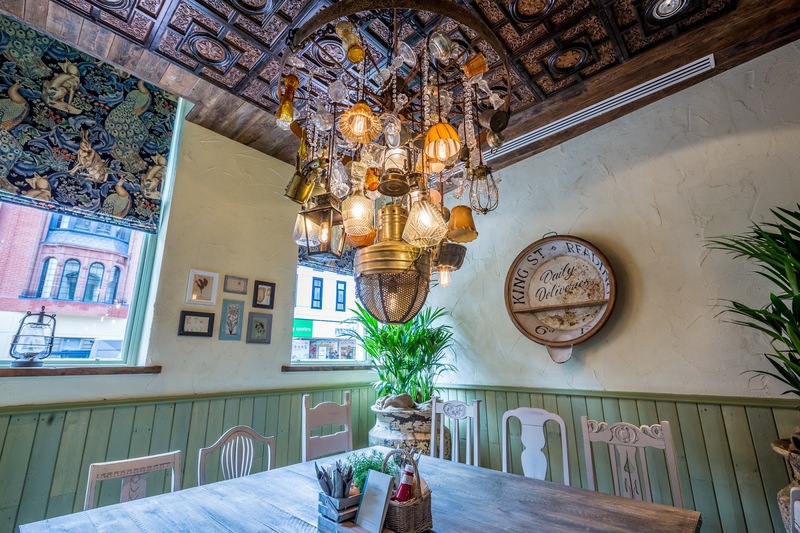 The Botanist is the perfect addition to Reading’s existing dining options. I’m already looking for excuses to visit again - Lemon and Jasmin Collins, I’m coming for you! 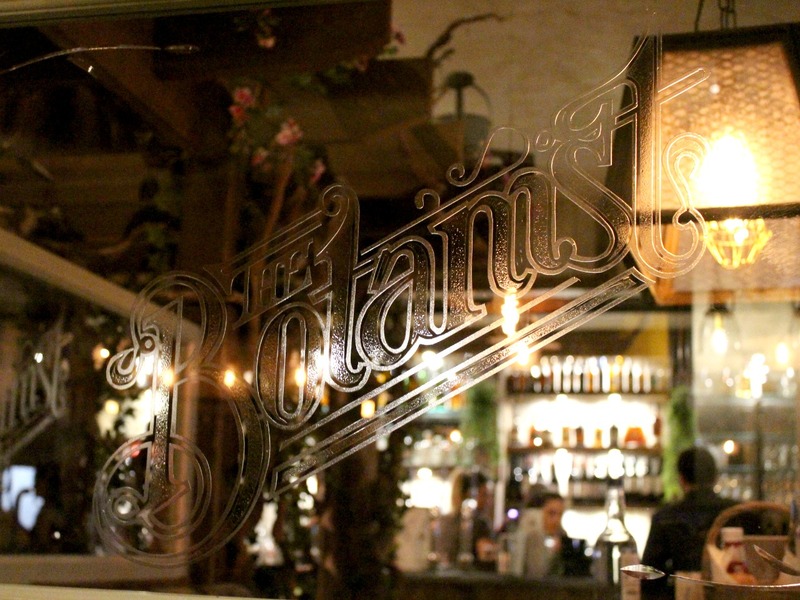 Our meal and drinks were kindly provided by The Botanist for review.